Look at this cute Thank You card that I received in the mail yesterday from Carol Guerard. Some of you may remember that Carol was the winner of my recent blog candy. Isn't this just the cutest card. I love the way she used the twine to dangle her sock monkey and the way she cut out the bananas and popped them off the page. Carol, I hope you don't mind that I shared your wonderful creation! I'll have a card to share with you tomorrow morning. I have nephews due in at the airport in a few hours and lots to do to get ready. Look at this gorgeous card I received in the mail from my good friend, Nancy Riley. I was totally taken by surprise. I am a big fan of Nancy's beautiful stamping and now I have one of her incredible cards to enjoy. Nancy is one of the sweetest demonstrators I have ever met and I am thrilled to be her long distance friend. You can get more details on this fabulous card here. 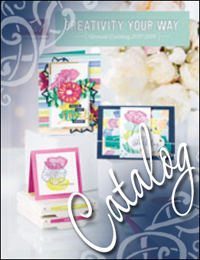 Tags: Nancy Riley, Stampin' Up! My BFF, Nancy Brown, came over to play with our stamps the other day and she brought me this adorable card that she made in her recent technique class. The technique for the week was "kissing" and I think she did a wonderful job demonstrating it with this card here. Nancy is such a good friend and a fantastic demonstrator/downline. I am so proud of her!